We are extremely delighted that ZEBx, the Zero Energy Building Exchange, has moved in with Larigakis Architecture. 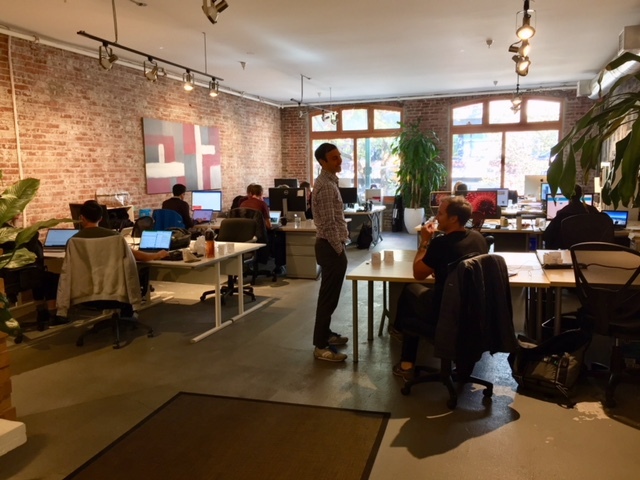 Our shared work space is at 250 – 128 West Hastings Street (HiVE West) adjacent to Vancouver’s Gastown area. ZEBx is a building and design industry collective dedicated to increasing public, private and civic capacity for making zero emissions buildings in Vancouver and British Columbia. This new organization seeks to accelerate market transformation and foster innovation using dialogue, project tours, research, training and demonstrations. ZEBx is built around a partnership between the Vancouver Regional Construction Association, the City of Vancouver, Passive House Canada and the Open Green Building Society. The ZEBx Innovation Cluster, of which Larigakis Architecture is a member, consists of members of the partnering organizations and co-located sustainable building professionals. These include architects, mechanical engineers, building envelope professionals and other green building specialists. What does this mean for Larigakis Architecture? Being a part of the ZEBx Innovation Cluster provides our studio with some of the most advanced zero emissions building expertise at our shoulders. This means we are part of and influencing the conversation around what real sustainability might look like as we seek to rapidly reduce building CO2 emissions in response to the climate crisis. Posted in NEWS and tagged with passive house ZEBx Zero Energy Building Exchange .